At JG Environmental we aim to provide all manner of environmental services. This includes professional house clearances. As human beings we understand from time to time clutter and belongings that we no longer need can often build up, especially in loft spaces. The classic “I will get rid of that later” mentality is present and then as life gets busy or priorities take over the clutter takes a back seat and ends up building up. 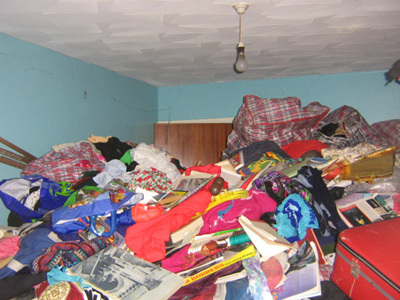 There may be other reasons for needing a house clearance. For example when moving house and realising or, more realistically, coming to terms with the fact that the stuff you have stored is not going to be used at some point in the future. You might simply be renovating the house and have some unwanted rubbish sitting around that wouldn’t fit in the skip or you might have just taken apart some no longer needed furniture such as wardrobes and bed frames. No matter what the material or the circumstances we guarantee to get rid of the materials for you. When contacting the sales team it is important to let us know what materials are being cleared as depending on what materials they are depends on how and where they are disposed of. For example household waste will be disposed of differently compared to rubble. As well as this it is also essential to let us know an estimate of the quantity of the amount of material that is being cleared. This is for us to determine the best method and transport for disposing the materials most efficiently as well as providing you the most accurate quote we can give.